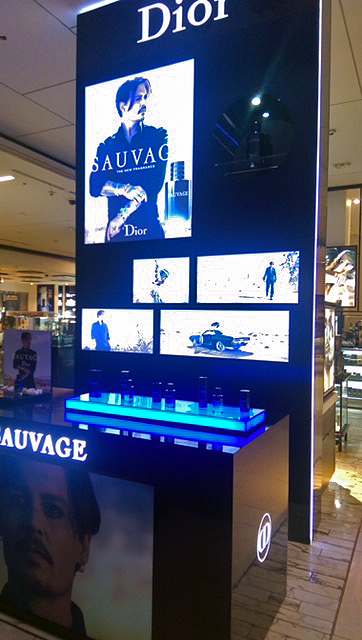 They're all SAUVAGEs! 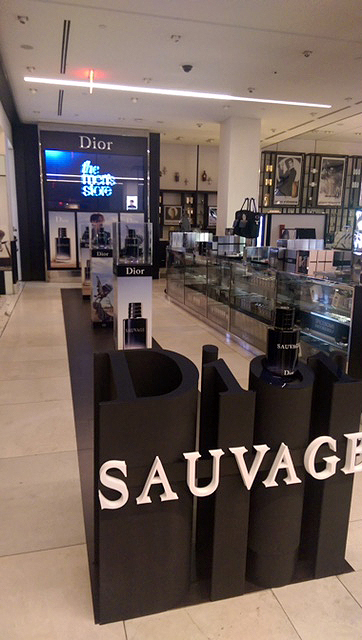 — Geoff Howell Studio Inc.
Once again, Dior rolled out the black carpet for their signature men's fragrance "Sauvage", now starring Johnny Depp. 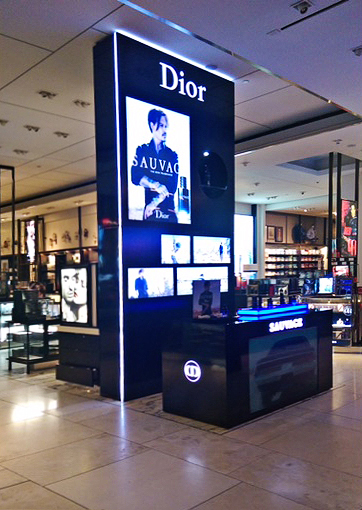 To help out, Dior asked us to build and install (at Macy's Herald Square) a black "runway" populated by image-wrapped plinths with product vitrines atop, as well as sculptural DIOR lettering, and a giant monolithic display wall with custom lit detailing and light-boxed imagery, complete with a matching hi-gloss sales counter.